A few months ago I had the pleasure to review the amazing Fit Moisturising Serum. Fit is a mens skincare brand based in the UK that makes some outstanding products. 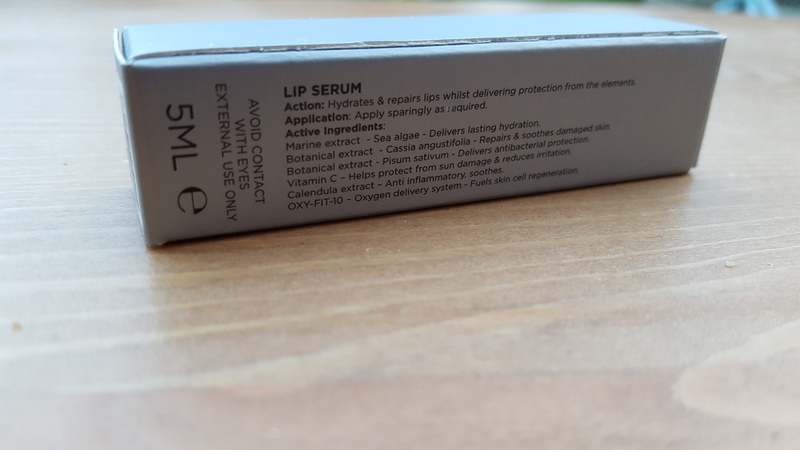 So when I received the new Fit Lip Serum to review I was pleased because this is the kind of product I really need. During the day I work outside and in the winter the British weather is not the most enjoyable: cold, windy, and rain too! Protecting our lips is also very important for us men. I know this is probably the last thing we have on our minds, but trust me, this is something we have to do on a daily basis. The Fit Lip Serum is the perfect solution for us men. Firstly it is taste and shine free. Personally I dislike lip balm with a "fruit" taste or that's very shiny either. So I think that Fit has nailed it: a great product for men. I used this product every day just before going to work, and It really works. It protects my lips, and I never felt the wintery British weather on my lips. According to FIT, the Lip Serum seals in moisture and repairs and protects lips from the elements. A unique blend of marine & botanical extracts delivers lasting hydration. Vitamin C & Calendula extract repairs damage & soothes inflammation and OXY-FIT-10 fuels skin cell regeneration. And guess what? Like the fantastic Moisturising Ultra Serum, this product simply delivers. This product is a must-have for any man, but I strongly recommend it for men and dads (like me) that work outside during the day. This product is great, really amazing. Fit Skincare is a great choice for a unique Christmas present! Many thanks for reading, sharing and spreading the word! As always I welcome all your comments. Have a great day...and don't forget your FIT Lip Serum! Zadig and Voltaire: This is Him Review. My new favourite fragrance.